A man aged 19 has been charged with murder tonight. 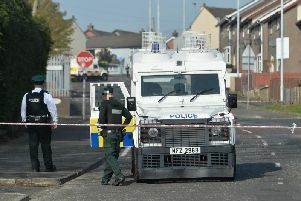 It is in relation to an incident in the Creggan Street area of Londonderry on Sunday morning, in which Edward Meenan died. It is understood a 17-year-old male remains in police custody. Detectives had already said they had charged two men, aged 26 and 31, with the murder. A 35-year-old woman arrested earlier this week was released on bail pending further enquiries. The victim was 52, and his body was found in an alleyway in the early hours of the morning. His family described him as “a much loved son, brother and father”.